This winter, a team from Focus Features and a hand-selected group of content creators journeyed to Warsaw, Poland to visit the real-life locations behind the story of The Zookeeper’s Wife. The film brings to life the remarkable tale of Antonina and Jan Żabiński, who during World War II, hid hundreds of their Jewish neighbors in their home on the grounds of the city’s zoo. The pilgrimage to the zoo, which is today a museum, and a visit to the historic Jewish Ghetto, inspired images, stories, and tears from all who attended. Below, Rossana Eh Bee, aka Mama Bee of the Eh Bee Family Channel, shares her impressions. In anticipation of the March release of the movie, The Zookeper's Wife, I traveled to Warsaw, Poland with a remarkable group of individuals comprised of Focus Features staff and Social Creators. The purpose of the trip was to visit the Warsaw Zoo, the Ghetto and the Last Standing Wall. I had read the book by Diane Ackerman and watched the movie before leaving for Poland. This experience is one that I will hold dear to my heart for the rest of my life. Our visit to the Warsaw Zoo stirred a variety of emotions for me. It was thrilling to enter the Zoo and walk the wide path leading to the house, while imagining Antonina Żabińska riding her bike there. Seeing the animals, listening to the sounds of the birds, appreciating that this same Zoo has been there since WWII. When we entered the home where the Żabińskis lived, I felt sadness seeing [their friend] Dr. Tenenbaum's collection of insects hanging on the wall, a collection that was precious because it survived to tell a tale of its own. 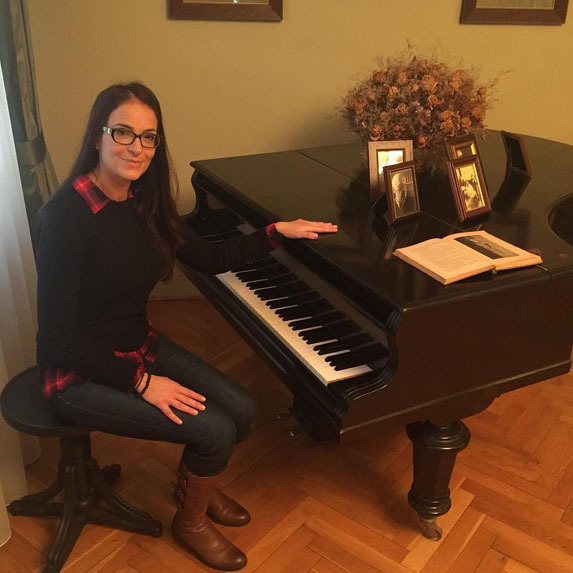 When I walked into the dining room where Antonina gathered her guests to have dinner and where she played her piano warning the Jews to hide when the Nazis visited, I felt a lump in my throat. I pulled the curtain and stood almost frozen looking out the window, visualizing the rush of fear Antonina and her family must have felt watching the Nazis take their precious animals, and replace their plants and trees with German ones. The Warsaw Zoo is exceptional because of the history it possesses in saving the lives of over 300 Jews, some of which still live to tell the tale of the unmitigated love of our hero, Antonina. "I pulled the curtain and stood almost frozen looking out the window, visualizing the rush of fear Antonina and her family must have felt..."
A somber candlelight memorial honouring the victims of the Holocaust really brought our group even closer together. We visited the Jewish Museum and learned that more than half of the victims of the Holocaust were Polish Jews. It is my hope that everyone goes to watch The Zookeper's Wife. I want the hero, Antonina Żabińska, and her husband Jan, to be remembered forever for their bravery. I want young people to learn about the Holocaust, a time in our history we should all be ashamed of. That even during one of the worst times in human history, unconditional love and goodness existed. I'd like to thank Focus Features for taking me along on this remarkable journey. May we all live boldly with determination, courage and grace as Antonina did. Even during times of darkness and uncertainty, may goodness and light always prevail. The Zookeeper's Wife opens in theaters on March 31st.